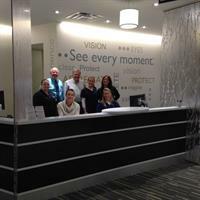 Open your eyes to the advanced technology and professional service of Grand Rapids Ophthalmology-Holland, your complete eye care solution in West Michigan. From routine eye exams, contacts, glasses, medical eye care, treatment, and surgery to the most advanced technological solutions, including LASIK. We are here for your entire family, for the lifetime of your eye care. Our doctors and staff are committed to providing you the entire spectrum of high quality, state-of-the-art eye care, products and services with the most advanced technologies available. Routine exams, optical, contacts, LASIK, Cataracts, Diabetes, Glaucoma, Cornea, Retina, Laser and Pediatric eye care. .